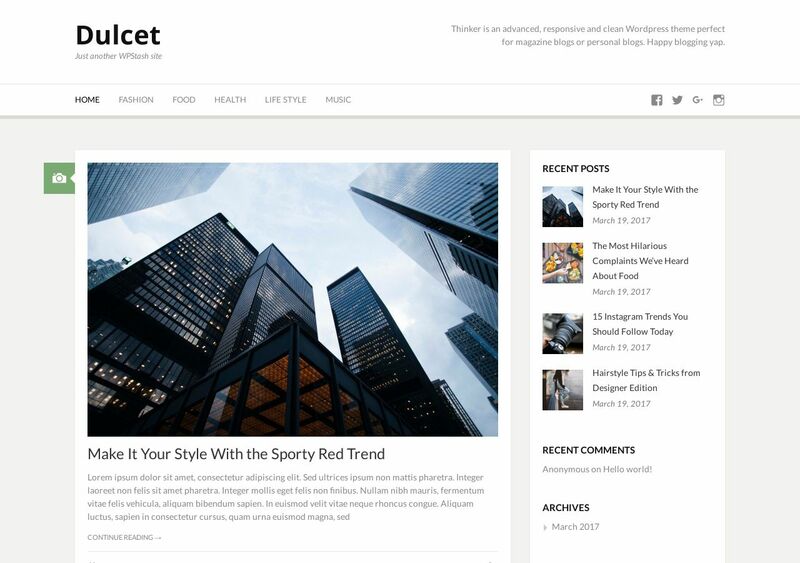 Dulcet is a classic grid-style blogging theme that’s optimized for modern browsers and devices. Dulcet is a perfect example of where it all began for WordPress, and unsurprisingly, these types of themes continue to perform really well in the real world. This is a fast-performing theme due to certain Ajax integrations that make page switching extremely effortless. As for design features, each highlighted post uses a separate grid layout to include post type, content title, featured image, and an excerpt. A sidebar is added so that you can list critical widgets like a search bar, categories, social media stuff, and more.